Food Fight is a thought-provoking, weekly talk radio show/podcast focused on food and agriculture news and issues. The centerpiece of the show is a rotating stable of Washington, DC-based guests, including reporters and experts, whose appearances on the show allow them space to report and debate those news and issues. Users who like Food Fight 1: GMOs, battle over healthier school food, lab grown meat and more. Users who reposted Food Fight 1: GMOs, battle over healthier school food, lab grown meat and more. Playlists containing Food Fight 1: GMOs, battle over healthier school food, lab grown meat and more. 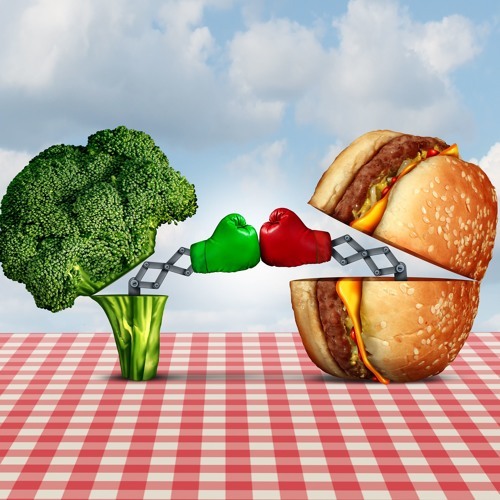 More tracks like Food Fight 1: GMOs, battle over healthier school food, lab grown meat and more.